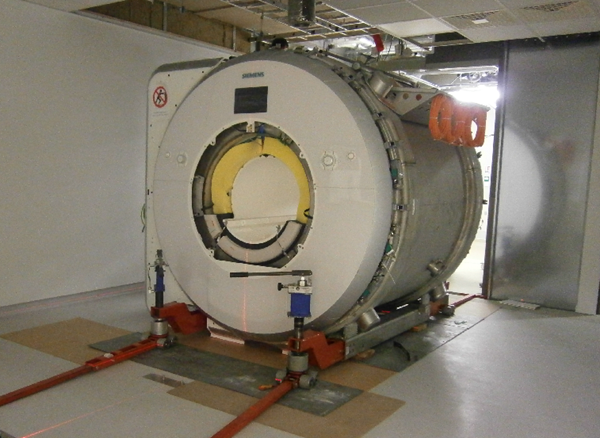 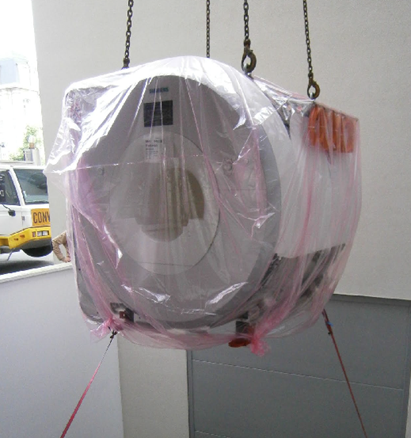 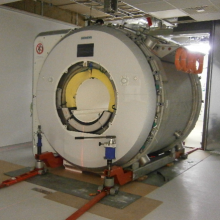 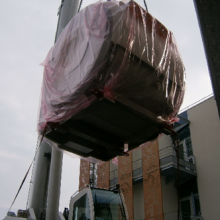 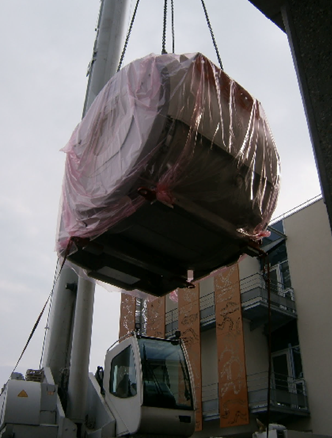 On June 16th, a brand new Magnetic Resonance Imaging (MRI) equipment (SIEMENS PRISMA) has been delivered in the new IBIO-IMN building. The Aquitaine region, Bordeaux Initiative of Excellence (IdEx), LabEx TRAIL, Cohort i-Share, the European funds FEDER and the National Infrastructure France Life Imaging (FLI) contributed to the purchase of this high field scanner (3 Tesla) which will be notably used for the MRI studies of the i-Share cohort performed by the GIN team of the IMN. 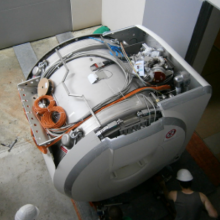 The final installation will be done this summer and will be managed by the imaging platform IBIO, one of the 6 nodes of the FLI national network.